In this video Sandra Ingerman talks about her experience with the shamanic journey and also shares insights about the challenges that the practitioner of shamanism encounters on the path. From ancient times shamanism has been used for healing and problem solving to restore the balance in the individual and collective field. During this training in shamanic journeying you will learn to work with shamanic practice and techniques that have been used for thousands of years by shamans around the world. In this powerful initiation-weekend you will learn to restore your personal connection with the spiritworld and the ancient healing practices, and step into a new power and chapter in your life. Please note: For the last 3 years, all Roel his Shamanic Journeying courses have been fully booked. Since this is the first time Roel will be teaching the Shaman’s Journey in Vienna, and this is a rare oppurtunity, you are advised not to wait too long to sign up if you want to join. Roel has been practicing shamanism for over 23 years and is personally trained and authorized to teach by Sandra Ingerman. He has trained thousands of people in practical shamanism and healing and is the founder of the Anam Cara center in Belgium. You can find more info on his work on the about page. In this intense workshop you will learn to safely perform shamanic journeys to the 3 spirit worlds: the Lower-world, Upper-world and Middle-world and work with your spiritual allies and teachers in those 3 worlds. 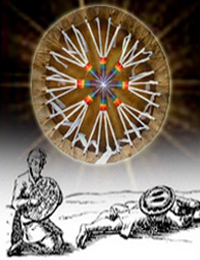 You will learn how to reach the shamanic state of consciousness in a safe and proper way through the trance rhythms of the shaman’s drum and rattle and use this state for direct contact with the spiritworld and healing. Working with the shamanic trance allows you to work with this spiritual reality of what the Celts referred to as ‘the Otherworld’ and be in direct contact with your spiritual guides, teachers and allies. In this way you enter the sacred circle again, very consciously, and embrace your spiritual connection with the spiritworld and the sacred dimension of Mother Earth. A feeling that is described by many practitioners of shamanism as coming home: coming home in your own life, heart and world. During this workshop you share your experiences with your fellow students in the circle, in order to learn how we can understand our experiences and give them a practical place in our lives. We also look at the ethics needed to work in a good way and how practicing shamanism can contribute to a richer and fulfilled life. Initiation on the sacred path. This weekend is an invitation to open you to your connection with the spiritual worlds of the shaman and to focus on wholeness, inner wisdom, love and surrender. An intense initiation, where the ancient and contemporary merge into the greatest source of spiritual power: your essence. You will receive these teachings within a powerful and radiant lineage. 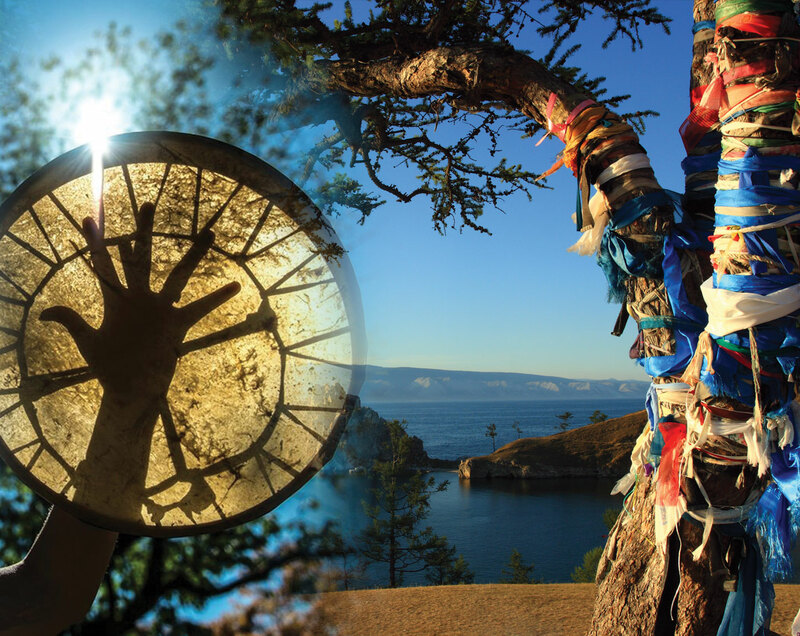 After participating in this Basic course of Shamanism you will be able to work independently with the shamanic journey in the three worlds and to develop a strong and life-lasting relationship with your spiritual guides and helpers from the other worlds. You will be able to do power retrieval journeys for yourself and others, and do the Upper world healing ceremony for others. After participating in the Basic Course you have the required experience to continue your training in Advanced Training in Shamanism or the Shamanic Practitioner training, led by Roel. 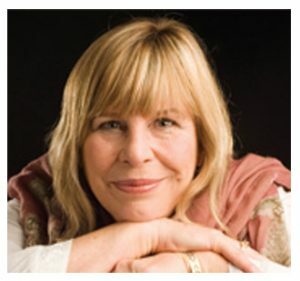 You will be also able to do advenced trainings with Sandra Ingerman, or other teachers listen on ShamanicTeachers.com. Roel Crabbé practices shamanism since 1995 under the guidance of both traditional and Western teachers. 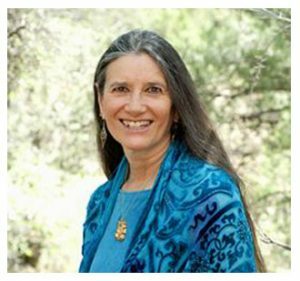 He is personally trained and authorized to teach working with the shamanic journey and shamanic healing by Sandra Ingerman, former education director of the Foundation for Shamanic Studies and author of a.o. “Soul Retrieval” & “Medicine for the Earth”. Roel has thought thousands on shamanism and healing in Belgium, the Netherlands, Sweden, Italy and France. His work has been published in publications by, among others, Bres and Change magazine. Beginning – end: The workshop will continue from 10 am to 7 pm. Please ensure that you are at the academy at the latest at 9.45 am. To Bring: Blanket, writing and drawing materials, blindfold or scarf and rattle. If possible a shamanic drum. 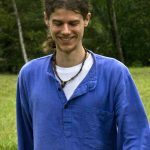 “The weekend gave me many new insights into the Path I am on and it was a confirmation to me that I should definitely continue to study shamanic techniques and even more importantly to apply them in my life.I am glad that I was able to make my first journey under supervision because that was a threshold for me. I also had several moments during the weekend that I felt a strong sense of coming home and feeling held, a truly blissful feeling. The energy that was present in our circle was also very warm and loving. “The Basic course felt like coming home, which was my intention. This week lots of great things happened to me. And it has all to do with the past weekend. “Thank you Roel, for the wonderful experience of oneness, the warmth and love that was very tangible in the space. 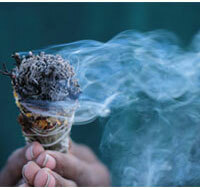 I had already practiced with the shamanic journey before, but at that time it did not happen for me. The wonderful thing was that I was allowed to meet my power animal. I instantly felt his power and his cunning energy, a very nice experience. “The Shamanic Journeying course was a fantastic experience for me! The whole weekend felt like coming home.” Throughout the rituals I learned to be connected, connected with my soul, with the other people present, with the whole web of life, but especially with the source of all that is. It is certainly due to the loving, interesting and certainly humorous guidance of Roel! Since then I can ‘t help but choose a life path, guided by light and love. “The Shamanic Journeying course was a wonderful experience for me, it gave me a wonderful feeling of solidarity, love and harmony, and I now feel that I can open my heart even more to all the beauty here on earth. I was allowed to meet my power animal, which I already have a strong connection with. “Shamanism to me is coming home deep within myself. “During the basic course we both received some very important tools, which come in handy every day when it comes to Surrendering and Connection. It soon became clear to us that all the masks we had built up in the past to be able to compete in this world would no longer be of use to us, if we wholeheartedly chose to go this way, because this is a path of authenticity and simplicity. We experience you on our path as a very gentle and wise teacher who repeatedly urges us to turn inward and listen and trust our inner voice. You taught us to journey to connect and ask help from our guides, you taught us to open up and be receiving for what is so much bigger than us. Since that time nothing is the same in our lives, even on dark, difficult days, we can remember them and reconnect with them … that wonderful place where the sun always shines and where there is always Love. 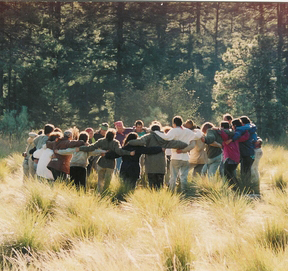 “The Shamanic Journeying course… Right before that weekend, I had no idea what to expect. 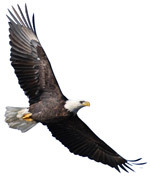 I registered because, wherever I went, I unexpectedly discovered birds of prey and I was curious about more! The journey to get a power animal for someone else has impressed me a lot. I got goose bumps and knew that this was the right power animal. When transferring it to the other person you could see it was completely correct. “Thank you for the Shamanic Journeying course. I have learned to discover the power of my inner dimension and creative spirit. The insight that everything starts from an energy, a pure intention open the world to you. It interweaves your entire daily life. This course is highly recommended for people who want to experience in an active way what is going on in our invisible world and that we create these worlds ourselves through our intentions and creative minds. “The shamanic journeying course was a great and instructive weekend for me. You’re a very nice and open teacher and I love that you’re teaching in your own down-to-earth way. I loved to discover that you have an inexhaustible source of knowledge about the subject and always give examples and draw parallels with other religions and customs.The first time I journeyed, the boundary between my own creativity and the lower-world was very vague. When I returned, I also had doubts about my journey. You helped me to take these away in a good way. The doubt was completely removed when I could get a power animal for someone else with a message for this person. That has really been a wonderful experience in which my doubt has turned into believing. “I want to thank you for the great weekend that we experienced together. I feel different after these two days: I feel more in my power and I feel more ‘at home’. “In 2 days time giving yourself a gift that continues to reverberate for a lifetime, that is what the shamanic journeying course did to me. The intense feeling of being connected to everything, and feeling that everything is filled with soul, is indescribable. Making intense contact with your own power and from that power continue your path, follow the road that is your way. And know, really know for sure that what is there is right and good, so you no longer have to doubt. I so enjoyed the simple rituals. You completely open up to the beautiful sounds of the drum, rattle, Roel’s voice. Coming home in that sacred circle. All that is so nourishing! “I can not help but thank you a thousand times for this incredibly gentle and warm guidance during my first shamanic trance journeys :-). The group also felt very loving and I really felt like being able to be myself with all my talents and limitations. “First and foremost, I want to thank you for the wonderful weekend of the shamanic journeying course. It is impossible to describe how beautiful and good this was for me.I want to tell you that the purity and love with which you do this is really beautiful. You give us so many wonderful things and tips to work at home. Really wonderful, thank you Roel! “Shamanism has put me back on my path. Through these workshops with Roel, I feel again what connectivity means.